A popular shopping destination has pledged its support to East Lancashire Hospice. 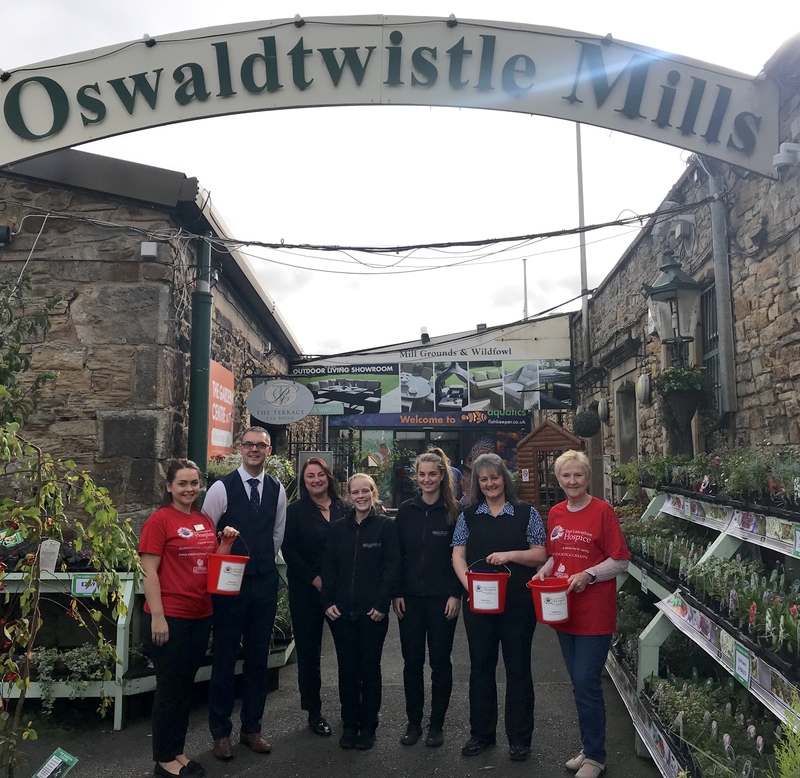 Oswaldtwistle Mills, an award-winning shopping village and garden centre in Oswaldtwistle, hopes to raise at least £10,000 for the charity after selecting them as their charity of the year. Last year the company supported the British Heart Foundation and Ronald MacDonald House – splitting the £10,000 raised between the two charities. A two-day discount sale kick started the collection for the hospice, which provides care for people with life-limiting illnesses. Gifts were donated from different departments within the former weaving mill, and vouchers raffled off for the store. Nick Pitman, general manager, said many staff members know people who have been cared for at the hospice, and it is a charity close to their hearts. “My grandmother died this year aged 96 and it was her wish to go home rather than stay in hospital. The hospice were so helpful but sadly she died before she was able to receive their support. The whole experience really opened my eyes to the services they offer. In addition to collection buckets, raffles and loyalty days, Oswaldtwistle Mills plans to donate a percentage of ticket sales from this year’s Santa’s Grotto to the hospice. The venue will soon be launching the chance to win a Christmas dinner for 6-8 people for the price of a £5 raffle ticket. The festive bundle will include a turkey, trimmings, luxury cheese board and accompanying wine, and all proceeds will go to the hospice. The details will be announced on their Facebook page soon. The team have already pledged to enter the East Lancashire Hospice 10K in January, hospice pub walk, sponsored hike and Nick is even considering signing up for next year’s Great Wall of China Trek.